(Thanks to Casimir Alonso Taulé) The SL-HF950 is another of the 'top of the range' Sony Beta machines and like its predecessors it well deserves the name. It came onto the market in 1985 and was one of only two Hi-Fi machines to be introduced into the UK domestic range. 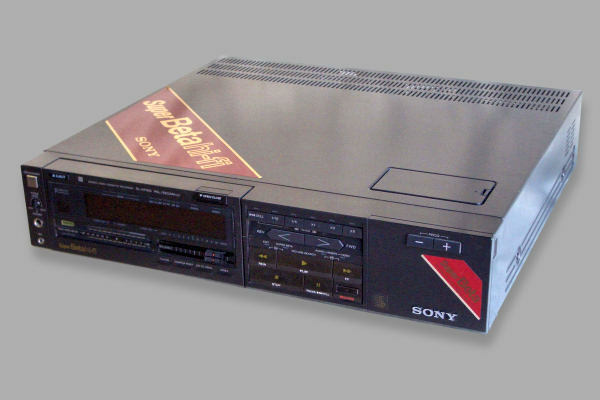 The other was the SL-HF100 but the SL-HF950 was also the only Super Betamax machine. 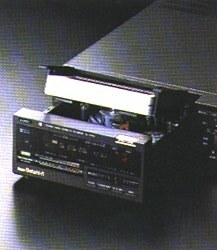 The SL-HF950 has a unique combination loading system whereby the entire head block is mounted on rollers and extends foreword when a cassette is loaded. This gives the video a unique appearance. It is probably the only VCR not to have a visible slot for tape insertion on the front panel! The quality of pictures is phenomenal especially in the Super Beta Pro mode. The machine has three modes of operation, Standard Beta, Super Beta and Super Beta Pro. 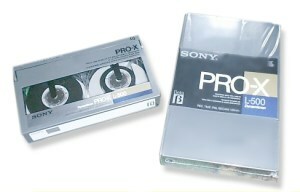 The Beta Pro mode requires a special formulation of tape which was sold badged as 'Pro-X'. The other modes use standard oxide tape. Another unique feature of the video is the ability to perform video insert editing which together with audio insert made the deck ideal for video editing. 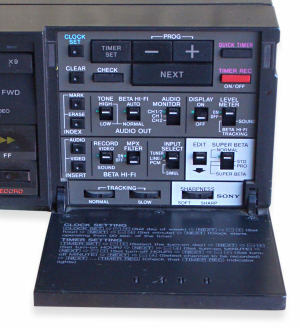 It was also the only Betamax machine to come with a SCART ( Peritel ) socket. The front panel boats controls for trick speed modes. However, because the 950 uses a single reel motor with pendulum drive these are not as responsive as those on the SL-C9. Like the C9 it has a real-time tape counter and multi-event timer. Opening the flap reveals a whole set of controls for video and audio dubbing, monitoring etc etc. If you intend buying or selling a 950, it is worth noting that the linear skate draw should be fixed to avoid damage. There are three locking points on the unit to do this. Obviously you should make sure they have been unlocked before trying to use the machine.